Product #463 | SKU Z-MFS | 0.0 (no ratings yet) Thanks for your rating! 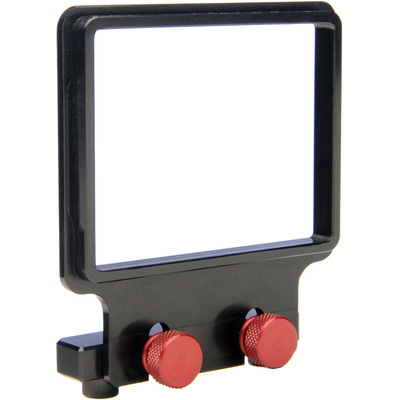 The Zacuto Z-Finder Mounting Frame for Small DSLR Bodies is required when mounting a Z-Finder to the 3" LCD screens of small-body cameras, such as the Canon 5D Mark II, 7D, and Nikon D90. The frame (which comes standard with the Z-Finder Pro) attaches to the required Gorilla Plate using two thumb screws; then, with the frame's rubber edges pressing snugly against the LCD screen, the Z-Finder can snap quickly into the frame and be just as easily removed. Note: If you are using a battery grip on your camera, you might need the battery grip frame. If you have a taller-body camera, a different frame is necessary.